Who introduces your business to the world? Your online presence or precisely your website! There is no meaning of such a website which is not appearing in the search results, especially on the first page. It’s very rare that we navigate to the second page of results. Over 1 billion websites are there on the World Wide Web. The number is continuously increasing at every second of a clock tick. It’s a challenge to drive a good amount of traffic to your website with this number. How can you reach your audience then? No need to worry. You can get organic traffic from search engine by following and performing some set of rules to appear in the search result. You need a practicing of updated SEO (Search Engine Optimization) for your website. Google adds 500+ algorithm changes every year in it’s search ranking algorithm. You should be updated with those new methods and trends. There are certain methods and tools for an effective SEO. Here are some effective tools for SEO which works in 2018 suggested by the Industry expert in Digital Marketing. Before starting the SEO for a website, it is very important to do some research. Whether you are doing SEO for a corporate site or eCommerce website or personal website, you need to know the phrases or set of words people will search for your business. For example, if you are in noodles business, you need to know the questions or phrases (known as keywords) your potential customers are searching on Google. Once you have the list of those popular keywords, you can do the SEO of the website for those. There are some tools which are very useful and tested by the industry experts for the keyword research. Keyword Planner is a free AdWords tool for new or experienced advertisers that’s like a workshop for building new Search Network campaigns or expanding existing ones. It is a more focused version of AdWords Traffic Estimator tool. You can search for keyword and ad group ideas to see how a list of keywords might perform and even create a new keyword list by multiplying several lists of keywords together. You can also get search volume data and trends. The main advantage of the keyword planner is that you can get historical statistics and traffic forecast. This tool is designed for Google Advertisers but you can use it to build good SEO for your website. It is a facility by Google only. This shows how often a particular search term is entered relative to the total search volume across various regions of the world. It gives the detailed report and visualization analytics about the searches performed by the Google. It displays the relative combined search volumes from all countries that share a particular language. While designing a webpage, you need to follow some standards of SEO. You need to understand how Google reads your page and it’s content. That’s where the page analysis become very important. Best practices of on-page SEO helps in raning the page really well on the SERP (Search Engine Result Page). Proper use of HTML tags like H1, H2, H3, H4, H5, H6 and other elements on the web page is very important for SEO. Keyword density on the web page, well written meta description, effective SEO page title etc. should be done as per the keyword analysis. Here are some tools available to check and fix on-page SEO of a website. Famous Internet Marketer, Neil Patel is running Quick Sprout. You can check the condition of on-page SEO of the website on Quick Sprout homepage. Analyze your website: Quick Sprout scans your website looking for SEO. Review and make changes: Find important changes on your website by using Sprout to craft optimized content people can find. Write and optimize more: Grow your site traffic, optimize your content and keep track of which pages are growing and which need more work. Quick Sprout free tool helps your website with on-page SEO . 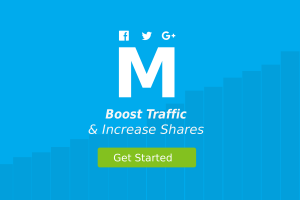 This is another well-known platform to drive organic traffic to your website. SimilarWeb platform: It is a tool used to analyze any website or app. Digital insights: This tool is used to generate reports and data-sets according to the need. With such detailed analysis and helpful information in-hand, it’s time to implement SEO on the website. SEO implementation techniques may differ platform to platform. If you are using CMS like WordPress, it’s easy to implement the techniques. On a regular HTML pages, you will have to implement SEO separately. As I mentioned earlier, implementing SEO on sites created using WordPress is easy compared to static sites. Here are few important ways to do SEO on a website. Almost 29% of the website runs on the WordPress around the globe. Yoast SEO is the plugin available on the WordPress for the SEO. This tool optimizes the website from every aspect. It makes the website more usable, easier to navigate, faster and more reliable. Many of the big companies like Facebook, eBay, the Guardian use this plugin. You can find many articles regarding the common issues and their solutions. So this is very beneficial to perform the SEO if you are facing any errors. Yoast has both free and premium versions of the plugin which differ in services. This is also a plugin for WordPress sites. This can be used to greatly improve SEO to create XML sitemaps which help search engines to better index your site. With such a sitemap, it’s much easier for the crawlers to see the complete structure of your site and retrieve it more efficiently. It supports all pages generated by the WordPress. It notifies all major search engines every time you create a post about the new content. It is another free key service by Google for webmasters. It allows webmasters to check indexing status and optimize and control the visibility of the website. 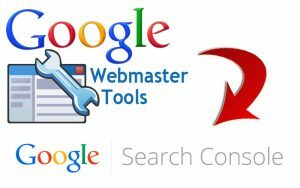 Google re-branded Google Webmaster tool to Google search console in May 2015. Recently, Google has refreshed its user interface and improvements in this year. To discover which queries caused your site to appear in search results? To discover which sites are linking to your website? Google Analytics is a free platform by Google where you can track and view reports of website traffic. This has two types of service, one is free Google Analytics and another is subscription based Google Analytics-360. This has many features which are very useful to analyze the website, monitor the performance of the web pages, advertisements, campaigns etc. The reports generated by the Google Analytics gives the detailed information about the visitors to the websites including their region, device type, age, browser used and many more. For this purpose, the owner has to add the tracking code of Google analytics to every page of the website. There are free MOZ tools for link building and analysis, keyword research, webpage performance, local listing audits, and more. Keyword Explorer: SEO starts with OSE. Uncover content and link building opportunities, track your site’s link profile over time and compare to competitors for intelligent, targeted link building. 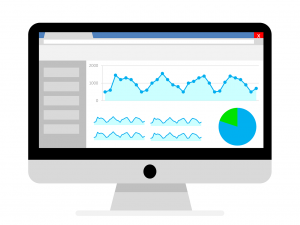 On page metrics with MOZbar: It is used to Examine and analyze important search, social and page metrics of any site you visit right in your Chrome browser. My Business listing: You can see how your listing appears on local search engines and directories, and how it can improve with MOZ Local. This tool provides the share buttons is the plugin that can be configured with your website. Once this is installed, the user can use this button to share the content. These buttons are mobile optimized which enables the visitor to share the content from any device. The codes are lightweight and do not slows the website. Choose from a popular social media platform. You can customize size, shape, alignment, and number of buttons. You can set a minimum number of share before displaying counts. According to the data released by ShareThis, in 2017, it captured 159 billion total social signals, including 1.1 billion shares and 17 billion click-backs on shared content globally. AddToAny is one more plugin which is used to share your content. It gets people to the right destination to share or save your content whether it’s in the native App or on the web. Floating share bars which scroll as the user scrolls the page. Stunning on high PPI sizes such as Retina and HD displays. No user account necessary to register and manage. 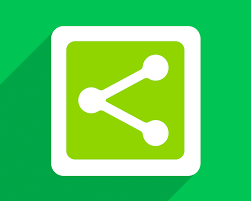 MashShare is the social media share button plugin for the WordPress sites. The key feature of this plugin is that it does not uses external script dependencies. All code is loaded directly from your website. It gives you per default a large total share counter beside three large prominent Share Buttons for your Twitter tweets, Facebook share and the option. If you need services like Whatsapp, Pinterest, Mail, Print, Linkedin, Odnoklassniki etc., you get them on the Add-On Marketplace. Translated into German, Spanish, Turkish, Italian, and Portuguese languages. This is most widely used subscription-based tool to share the content on the social media. More than 16 million users use this including world’s top brands VISA, Mailchimp, Virgin etc. HootSuite has 2 versions, one is for professionals, and other for the team. With professional, you can manage 10 social profiles with a single user which is very best suited for entrepreneurs and small businesses. HootSuite enterprise empowers large teams, departments, and regions to drive results through social media. The very useful and popular feature it is providing is employee advocacy. It Makes it easy for employees to share your company posts on their own social networks and increase the number of people that see your message. According to HootSuite, 8x times jump in the engagement when employees share company’s post on their social media channels. While at resharing the company posts, use of Hootsuite can result in 24x times increase in reshares. 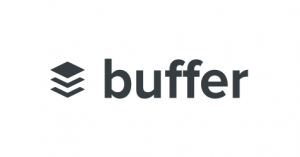 The buffer is simpler and easier way to schedule posts, track the performance of your content, and manage all your account in one place.page. You can quickly and easily schedule posts for all of your social accounts and Buffer will publish them automatically, according to the posting schedule you put in place. It easily allows you to share content on the web with your followers. If you want to share some information or post something on your social media, you can click on the plugin button. It shortens the URL and then you can use it in your post. Loading, loading, loading, Everyone hates this after clicking a link or tab to open. The speed of the loading of the website is a very important factor for the SEO. Google prefers fastest loading sites to appear on the search result page. There some tools which are very helpful to your site load faster. This tool helps to make your web pages to load fast on all the devices. PageSpeed Insights reports on the real-world performance of a page for mobile and desktop devices and provides suggestions on how that page may be improved. PageSpeed Insights incorporate data from the Chrome User Experience Report (CrUX) to display real-world performance data about a page. PSI reports two metrics: First Contentful Paint (FCP) and DOMContentLoaded (DCL). Page load Distribution: The Page Load Distribution section presents the distribution of this page’s FCP and DCL metrics in the CrUX dataset. Optimization suggestions: These are a list of best practices that could be applied to this page. 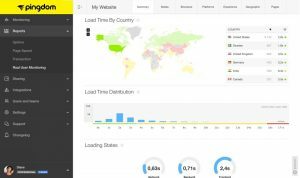 Pingdom is used to test the load time of the page, analyze it and find the bottlenecks. Examine all parts of the webpage: View file sizes, load times, and other details about every single element of the web page. Performance overview: You can automatically get plenty of performance-related statistics for you based on the test result. Performance grade and tips: You can see how your website conforms to performance best practices from Google Page Speed. You can get some great tips on how to speed up your website this way. Test from multiple locations: You can test your website speed virtually from different locations using Pingdom. This is another tool which is widely used by the SEO specialists to analyze the website speed. 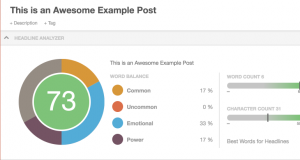 This tool is used to write the effective headline for your blog, email subject line, and social messages. You will get a visual representation of your headline that where it is good and where to improve. It also classifies your headline type, looks at your word balance, and parts the title in form of common words, emotional words, power words etc. Some useful paid tools that are used widely by leading Digital Marketing Company. It is all in one digital marketing toolkit for professionals. Let’s check what’s inside this. A complete workflow for any SEO professional. This contains technical SEO audit, semantic core collection, position tracking, ideas to gain more organic traffic, backlinks audit and analytics. Paid traffic: Improves the results of your PPC efforts. Social Media: Helps is building your social media strategy. Content and PR: Collect brand mentions, seize new promotional opportunities, choose the most effective promotional channels, adjust content based on engagement data. SEM Rush has more than 1 million users which have its presence on more than 130 million domains, which is a huge number suggesting the usability of this tool. ahrefs has many tools to grow your search traffic, research your competitors and monitor your niche. It helps you to learn why your competitors are ranking so high and what you need to do to outrank them. You can see the organic search report to see the exact keywords used by the competitors. It has data for more than 240 million keywords used in almost 100 countries. This is recommended by many experts in marketing and SEO. MOZ PRO is complete SEO toolset that helps boost your rankings and search engine visibility. It helps SEO professionals from helping you target the right keywords to creating custom reports. Moz Pro removes SEO complexity. How MOZ PRO handles your SEO? Crawl and audit your sites. Create custom reports to build strategies. Broken Link Checker scans your page or the whole site and provides a broken links report within a few minutes. You can get the repost directly without installing and running any additional program files. In addition to the website internal links check, it analyzes the external links availability. If the site contains at least one external link with 404 error, it is shown in the report. The report contains a link to the page where 404 error was found, so you can fix it immediately. Broken Link Checker is an extension developed primarily for web designers, developers, and content editors. Digital marketing career is booming career nowadays. SEO is the key part of Digital marketing. You can not become an expert in Digital marketing without having updated knowledge of SEO. The salary range for SEO specialist in India is 97k to 410k per annum. Want to become an expert in SEO, find the institute near you which has huge practical experience in Digital Marketing. Thanks for this list, good to see tools put into categories and nice to see some ones that I can test! Which tools do you prefer? I recently came across a free rank tracking tool called cocolyze.com – seems reliable and also has a keyword research tool. Be interesting to see if others have seen this one.